This syllabus is subject to change if circumstances warrant it. Before offering you a final book list, I would like to meet with you first to discuss options. You will receive a print copy of this syllabus, so there is no need to print this out. For Spring 2010, we will finish up covering a few short works, which can be found in African-American Literature: an Anthology, on reserve in the library--mainly an excerpt from The Autobiography of Malcolm X (Malcolm X). Then we will read and discuss book-length works. I will definitely assign Invisible Man in its entirety (Ralph Ellison) and The Color Purple (Alice Walker). While Invisible Man is a bit complex and long, I have brought a literary criticism text about the book. The Color Purple is fairly easy, and I also have the film. I am considering the following books (but will assign only one of them): Black Boy (Richard Wright), Native Son (Richard Wright), Their Eyes Were Watching God (Zora Neale Hurston), and The Bluest Eye (Toni Morrison). Please let me know if there are any other books by African-American writers that you would like me to consider. Just make sure that there are two copies in the Library, one for me and one for reserve. Teaching methods will likely include the following: class discussion and exercises, lecture, guest speakers, film and music, reader's theater, optional outside lectures and events (for example, The American Corner), and written final exam. *An oral exam will be optional. If your score on your written exam is good, then you will not need to participate in an oral exam. If, however, your score is borderline, then we will set up an oral exam during the exam period in May. Regular attendance is highly recommended, for we will likely be discussing some background material that does not appear in the texts. If, for any reason, you must be absent, please ask a colleague for any class notes or handouts. Also, check the website for updates. Last semester, most of you were able to submit your response papers electronically, and I found that, generally, this has worked out very well. Therefore, I am going to ask that you try to submit your response papers electronically, instead of handing in paper copies. When you submit electronically, I will read it on the computer and make comments directly on screen. I will return your work and my comments electronically. In any case, please bring print versions of your drafts to class for any impromptu exercises. But if you are without internet, you may still submit a typed paper document, but be aware that I seem to offer better and more detailed comments electronically. In addition, my comments to you are more readable. For paper copies, please double space, place your first and last name on the upper right hand corner, and staple your pages together. 1. If you use Microsoft Word, you still must submit a .doc or .docx file as an attachment; I'm just not set up to accept any other type of word processing program. So, please, do NOT submit any other kind of file! Make sure your full name is on the attached file, upper right hand corner preferred. 2. You may submit your electronic submissions single-spaced. I will convert it to triple spacing on my end when I mark your essays. 3. If you do not have access to Microsoft Word (or if you have a version that offers only limited use), you may submit your work in the body of your e-mail message. I will move it to a Microsoft Word file and give you a print out of your marked essay. On Google Docs, your document is stored online and accessible no matter where you are, so no need to carry around a flash drive. You will need a gmail account, however, and you will need to submit that gmail address to me. Also, I'm still learning this application, so be patient if I make errors. My gmail address is here, same user ID I use for my Yahoo! email. You must submit your two short response papers on time; please let me know in advance if you are having difficulties writing your papers so that we can work out any issues that you may be having as a non-native speaker and writer of English. Some of you have attended American universities, so you understand how American professors are obsessed with perfect English and deadlines. Often, we bring our Americanisms overseas with us, sometimes forgetting that you are writing in a foreign language. Please gently remind me from time to time. In any case, please bring a typed version of your response papers to class because you will likely be sharing your responses with your peers. One other book (to be determined later). Please bring writing supplies to class, including a notebook, loose paper for in-class writing, and pencils or pens. The following is a preliminary schedule, which will be updated as soon as I add another book to it. This schedule will be updated, changed, and expanded as needed; Check this website often, for I will regularly be posting new materials. Introduction to semester. Class discussion regarding one more book for the semester. Update questionnaire or questionnaire for new students. "Straightening Our Hair," Bell Hooks. Excerpts from The Autobiography of Malcolm X. "To Mississippi Youth," 310-316 (Malcolm X), from African-American Literature Anthology (AAL) and untitled. Reread "I Have a Dream," 317-321 (Martin Luther King, Jr.), from AAL. 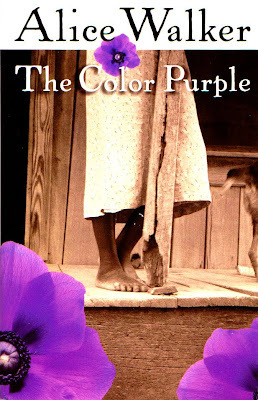 The Color Purple (Alice Walker), about the first 1/3 of the book. Film/ Discussion. The Color Purple (Alice Walker), about the second 1/3 of the book. Film/ Discussion. The Color Purple (Alice Walker), the last 1/3 of the book. Film/ Discussion. If needed, wrap up The Color Purple (Alice Walker). Discussion. Invisible Man (Ralph Ellison), Prologue - Chapter 3. Discussion/Documentary. Invisible Man (Ralph Ellison), Chapter 4 - Chapter 11. Discussion/Documentary. Invisible Man (Ralph Ellison), Chapter 12 - Chapter 18. Discussion. 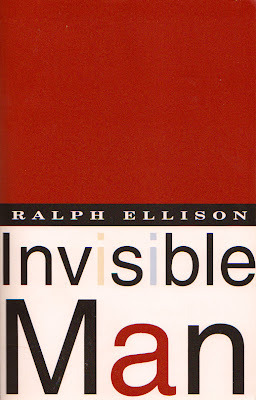 Invisible Man (Ralph Ellison), Chapter 19 - Epilogue. Discussion. Exam or other activity (exact day and time: TBD). Also, if there is ANYTHING in this syllabus or ANYTHING I say in or out of class that you don't understand, please ask me, either in person or via e-mail. This includes definitions of words, cultural references, slang, historical facts, etc. In the U.S., we have a saying: "The only stupid question is the question left unasked." So please ask. That's why I'm here.